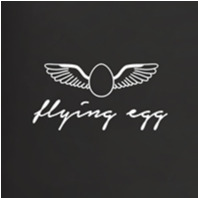 Flying Egg joined our Mission to help provide access to “Clean Water for All by 2030”. This Mission was initiated by the United Nations. A big thank you to Flying Egg’s team and customers for joining this extremely important mission on 01 December 2017. Flying Egg is Owner Shane's realisation of his dream to have his own restaurant offering unique modern Australian cuisine with a touch of Asian influence and French techniques. Formerly coffee roasters and cafe owners in Sydney's north-west, they have built a brand new restaurant in St Leonards, designed to attract the discerning diner looking for something special, way beyond the current offerings around The Forum, St Leonards. Shane is bringing a fine dining experience to a casual cafe setting. Open for breakfast and lunch, with plans for dinner and a liquor licence in the works. Drop in soon and see for yourself.